In light of this coming weeks AGSInspire, I thought I would write my own views on stretching the challenge for all students. It is a common belief as soon as the words challenge are heard this is just for the gifted and talented and most able of students. However I'm of the opinion all students should have the opportunity to make rapid relative progress and be stretched and challenged to achieve their upmost best. I rather like the following definition, straight from the dictionary. Be capable of being made longer or wider without tearing or breaking. Yes this is rather literal but lets bring this back to the classroom teaching and learning. As teachers and leaders of education we need to challenge our students and colleagues to think outside of the box and push themselves outside of their comfort zone. We need to be careful that the challenge isn't so large that the task is impossible and we break their spirit and motivation; rather we need to make sure it is sufficiently sized to allow the growth of their knowledge to the largest possible size. How can we achieve this daily? Here lies the next question, we all know what we should be doing and how we would love every lesson to have personalised learning for every student, but is this really possible while still maintaining a work life balance? This truly is were twitter and social media comes in handy, with the practice we can observe and resources we can utilise that others are sharing to lighten the load. There are as many great resources out there alongside the ones that need some development work to make them great. Scour and search for those resources that will truly have an impact within your classroom. Below are my top suggestions on how to include stretch and challenge within every lesson to promote the rapid progress of all students and particularly those on the gifted and talented scale. PRET Learning and homeworks were first developed by @dirtexpert and @mathsjems and we are lucky as maths teachers to have a whole website designated for the sharing of just PRET homeworks. However this style has been adopted by many other subjects and seems to work particularly well within science. Allowing the the students to practice, recall, expand upon their knowledge throughout cleverly designed tasks. Personally I have developed my everyday lessons and worksheets in a very similar format to this design and a bank of resources can be found here. For those students who always manage to fly ahead and only need one example instead of needing two or three like the majority of the class. I often let them fly and leave them with the list of example questions to complete on their own while I can work with the majority of the class. These students can then make the choice to listen when needed, but aren't held back by the classes pace. I'm sure many people have heard this before however extension tasks should be exactly that extension and not more of the same. Within mathematics this could be a functional question or one which links two topics together. An easy example of this is that of finding the area and perimeter of a rectangle but not with algebra instead of numbers. This is not the only type of extension and stretch task available to you though, students should now be able to unpick the learning and work back to front for example, here is the answer what was the question? Often allowing the students to form their own questions for yourself or a fellow student along with the accompanying mark schemes is a great way to get the students thinking in the terms of examiners. The good old fashioned red herring can be a great way to provide challenge for the students and have them continually questioning and unpacking the learning. In lessons were I feel appropriate I use common misconceptions as my red herrings. I let the class know at the start of the lesson and watch them question and ponder throughout. Each student only has one official 'guess' at the red herring in the lesson and needs to be able to justify their answer. This leads to whole new world of class debates and engagement into sometimes the driest of topics. Again I'm sorry about the maths example but this truly is my favourite, "A positive correlation between ice cream sales and the amount of bumble bees". This comes towards the end of a lesson and it truly inspires lots of spectacular debates. Allowing the students to chose there route through a lesson is very important, everyone needs to start at the beginning and finish with the objective achieved but how they get there is a journey within it self. More can be read about this particular favourite of mine here. I will stress it's important when using this method you either have answers or bullet pointed guidance allow the students to continually check their understanding to make sure they don't skip ahead too far. I hope you have found my brief guide to 5 basic challenge tasks useful. I will try to add to this when I find a little more time. 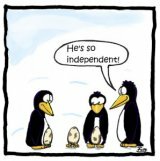 You may also find my blog on independent learning useful in providing ideas to allow students to access higher order thinking skills.